Prints, Prints, Prints. The epitome of new spring trends always seems to consist of a vibrant print that fills fashion houses and display windows. It appears that for the spring of 2019 animal print will continue to cover social feeds and closets after dominating the fall catwalks. Although the iconic cheetah and leopard print remains a go-to for the essential trendy wardrobe, there are a few safari pieces leaping through the magazine pages. 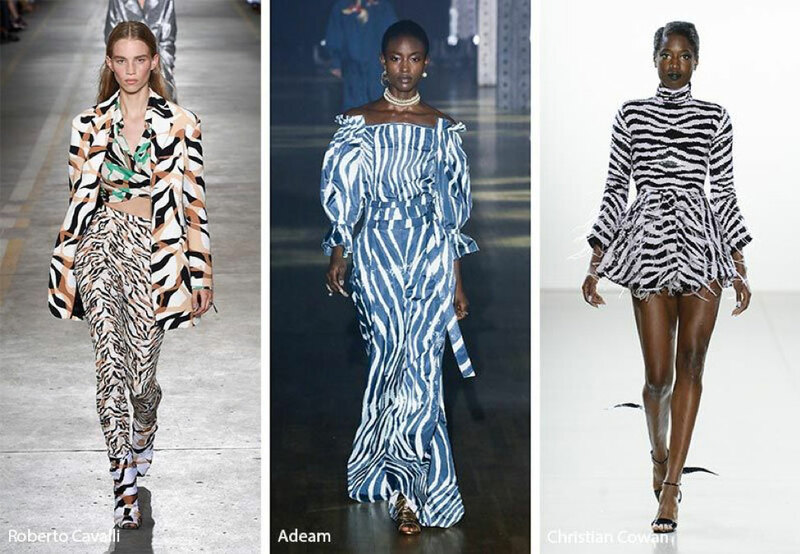 Evident from the elite shows during fashion week last fall, animal prints were predicted to be a show runner for trends with zebra and snakeskin being added to the collection. Over the last few years, snakeskin has come and gone from the racks with different twists each time. Following fashion icon, Rihanna’s head to toe snake print style, labels such as Gucci, Salvatore Ferragamo, and Off-White filled their runways with the trend. In this season snakeskin is being incorporated through various accessories as well. 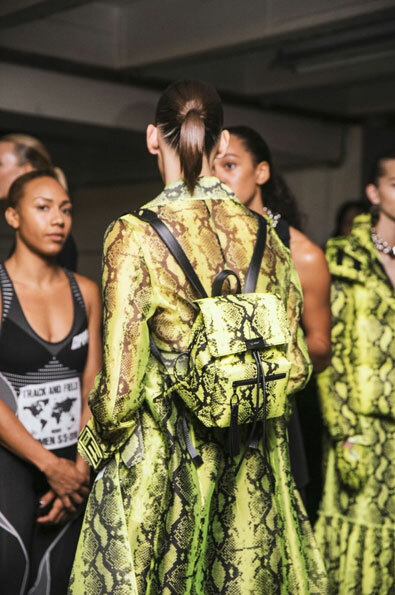 Whether its mini bags, fanny packs, headbands, hair clips, boots, scarves, or sunglasses then odds are there is a version in a snakeskin print. Something new for the bold early adopters of the fashion world is neon snakeskin items. This trend features the already wild print in a plethora of neon shades to make any outfit unique. With small glimpses in spring fashion lines, zebra print was definitely on the horizon for being a new asset to any fan of animal prints. After the most recent fashion week shows for the fall of 2019, it is clear that zebra print will be even more popular in the coming seasons. This is one print some may have not seen coming as it was the staple for wardrobes during the pre-teen’s year with millennial pink to match. Yet, these new collections reverse the haunting memories of zebra print by making simple elegant pieces. Zebra print is both bold and edgy for street style outfits but is way more toned down compared to other popular prints. Famous models have strutted in the city streets with this fun trend. Both Kendall Jenner and Bella Hadid wore simple black layered outfits for the chilly weather and added the statement pattern: zebra pants for Kendall and a zebra coat for Bella. Featured in versions of thin stripes, thick stripes, black and white, or neutral tones, zebra print will continue to be accessorized for the seasons to come. If neither of these trends appear worth it to make a dip in your bank account, there is always the classic leopard which never truly seems to leave our closets. Yes, the classic animal print has had its moments of being top of the online shopping carts, but it never truly goes out of style completely. Leopard can be worn in a vintage ensemble with an oversized Mick Jagger style coat or in a feminine silhouette such as a mini dress or blouse. Most leopard print pieces along with other animal prints can be found in 1970s fashion fads such as bell bottom pants and turtle necks. However, there is a futuristic twist with shear, velvet, and shiny fabrics adding to the futuristic elements that are in style right now. No matter which animal print is your cup of tea, there is a wide range of selection for the print that fits your personal style. Judging by the cyclical style trends, whichever investment animal print piece is selected will never fade from the fashion world.